The indoor grow setup is easy enough to plan out. But what about the corners and all the edges of our indoor grow systems? With stationary grow light systems and by design, those areas are left with very little indoor plant light. It’s just the way it is with the stationary grow room design. But, there is a way to get more indoor plant light to those outer edges. 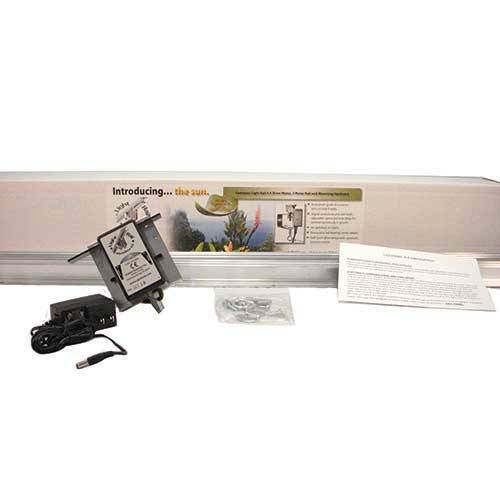 And, light mover perimeter indoor grow light coverage is the key to lighting up every square foot of the indoor grow room setup. 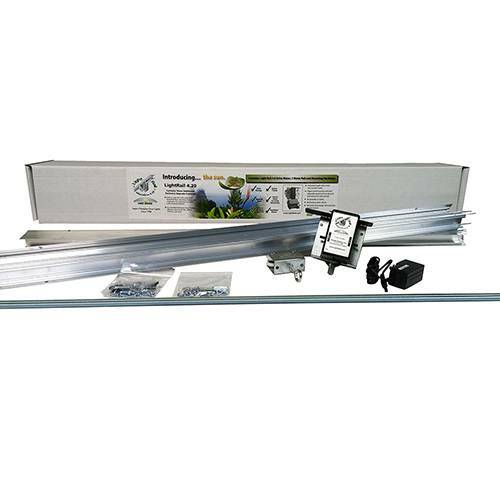 These indoor grow lights are each moved with a LightRail light mover as part of Botany Unlimited’s indoor growing system. Here is another way to see this grow room setup conundrum. Stationary grow light systems shine straight down, and with very little spread for our indoor grow system. In other words, the spread is a small fraction of the total. So, it’s a never changing grow equipment detail. And, it’s not beneficial to the plants directly under these grow lamps nor does it benefit the plants just to the side. Plus, it’s even worse for the plants in the corners of the indoor grow room setup. And, this stationary grow light setup also misses the plants along the walls. The truth is, it is also missing a large percentage of leaf area throughout the room. We’ll cover that in detail below. So, the best way to get a better indoor grow light interaction from our indoor grow systems is to make use of the perimeter indoor grow light coverage we get with light movers. With our grow light system moving along the light mover rail, we get a little more indoor grow system area covered. The number for that is 30% more area covered. 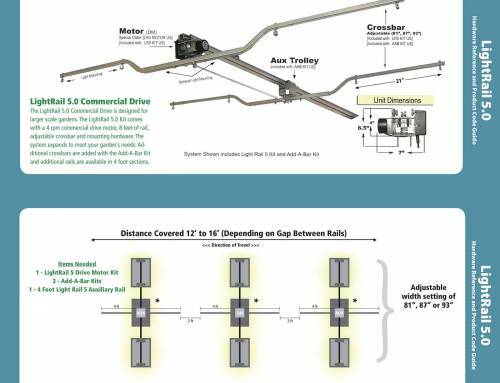 So, that important grow equipment detail means we now reach the corners and the far walls. Plus, those moving grow light systems translate into eliminated hot spots and reduced shadow patterns. In other words, a better indoor plant light is now getting to all of the plants equally. And, that includes the corners. Plus, it includes all the previously indoor grow light challenged spaces along the walls. Of course, that 30% number depends on many variables including the number of stationary lights being used as a benchmark. There is a second point of the perimeter indoor grow light coverage we get with light movers that we need to mention. And, that is these indoor grow system benefits are not just for the perimeter plants. Think of the lower and middle leaves of all the plants and picture them with stationary grow light systems. Those leaves are shadowed and the slight bit of cross light spread does not undo that. Nor is that slight cross-light powerful enough to achieve a high enough PAR or ppfd (see grow light ppfd chart) to the next plants over. 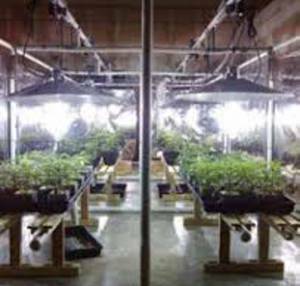 Stationary grow light systems, by design, are required to be position higher for a smaller PAR reading to the canopy. Otherwise, we’d have hot spots. So, again, we are limited when we are stationary with our indoor grow room setup, and in particular, the grow room design when it comes to the indoor grow lights. There is only one way to get quality indoor grow light interaction to those lower leaves. And, that’s by using light movers to reach all the leaves. And, that is reaching each leaf area and at just the correct amount of time. This is called Leaf Area Index and this is how that looks. 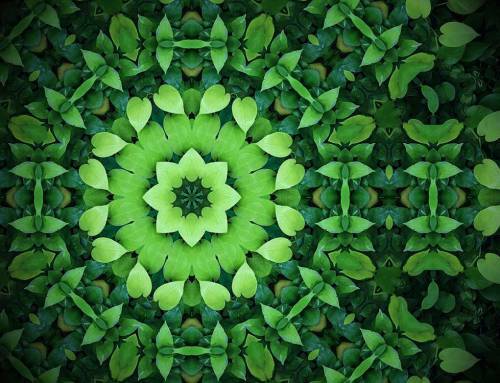 Think of each leaf as a worker for the good of the plant as a whole. When we just have select canopy leaves receiving the indoor plant light, we are wasting potential. But, when we can get more of the leaves getting grow lamp interaction, intermittently just like the sun, we get results. Light equals yield and better light to more of the leaves equals better yield. Leaf Area Index explains it scientifically but nature, and in particular how the sun works, demonstrates this principle more fully. The indoor grow room setup is easy to plan. And, it’s just as easy to plan using grow light movers. 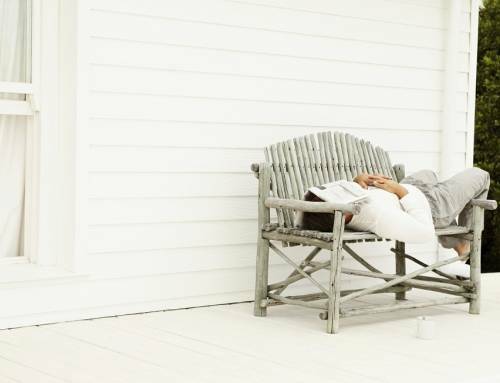 What we see immediately is the extra spaces we can reach as we cover up to 30% more area. That’s serious efficiency. But once the grow light movers are in action, we also see those mid and lower leaves lighting up. That’s serious efficiency, as well, with all the leaves working for the good of the plant. How this manifests is in faster growth and much better yields. 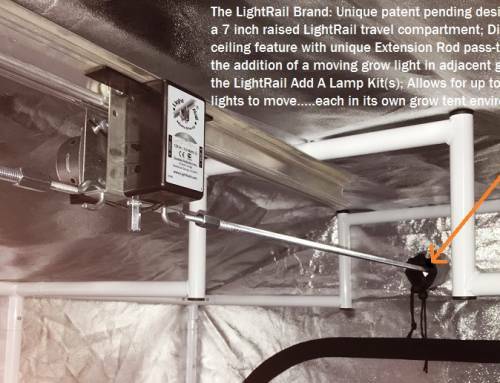 And, to take it to even another level, because we now move our grow light systems, we can get those grow lamps closer for maximum PAR and even ppfd right to the canopy. 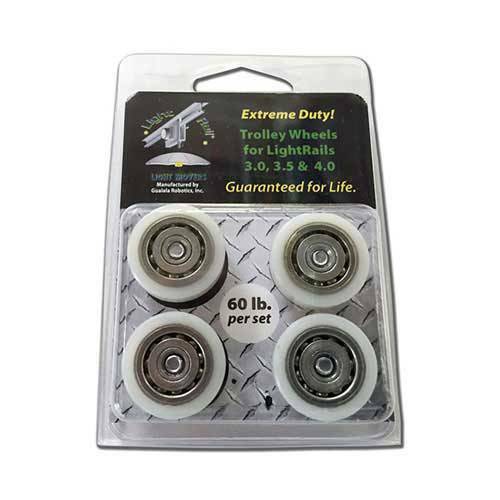 These benefits are realized whether we use a LightRail 3.5 Kit, a LightRail 4.0 Kit or a LightRail 4.20 Kit. Remember, a moving grow light is just like the sun. It’s intense and powerful, but it’s intermittent and is only interacting with each leaf for a given time. 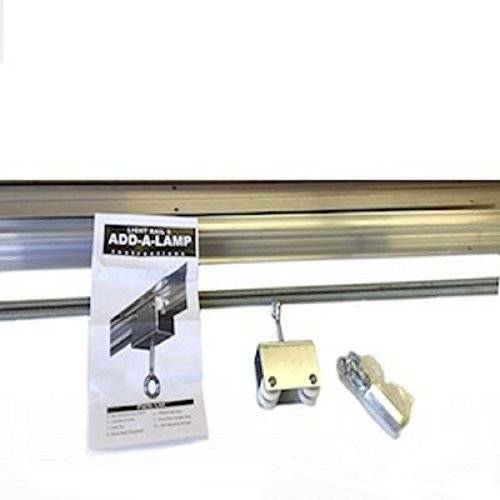 Leaf Area Index matters and stationary grow lamps cannot duplicate what a light mover can do for indoor grow light coverage. So, closer indoor grow equipment for grow lighting, and better indoor plant light to more leaf area matters. Our indoor growing systems absolutely benefit from using grow light movers. And, that’s largely due to all of these beneficial variables happening simultaneously. With light movers, we have more efficient indoor growing systems in general. And, that efficiency also includes the indoor grow light coverage of all the corners and edges of our indoor grow room setup.